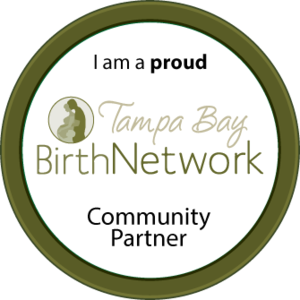 Since its inception, Barefoot Birth has been a labor of love borne out of necessity and a deep rooted desire to serve families right here in my home town of Tampa Bay. It was built by two mamas lead to do their heart's work and my dream was that it would always be carried on with that same commitment and love throughout it's existence. I am pleased to say that our new family member and I go wayyyyyy back. We fell in birth-love our very first year of midwifery school together. Jenn has lived near Jacksonville, FL and I never thought I would see the day that her geographical location would change so that we could join forces. I am thrilled and so grateful to share that Jenn is building her new home here in Tampa with us and is going to be a fabulous addition to the Barefoot Family and a huge asset to childbearing families in the Tampa Bay Area. Jenn Stone LPN, CLC is a licensed practical nurse, birth assistant, doula, certified childbirth educator, placenta encapsulation specialist, certified lactation counselor, Certified Mother Roaster: The Art of Sacred Postpartum, Certified Beng Kung Belly Wrap Artist, and folk herbalist. After the birth of both of her children, both typical hospital births, she recognized the void that was left from those birth and postpartum experiences. This led her to learning everything she could about pregnancy and childbirth and ways to celebrate and honor the entire childbearing year. Through teaching Sacred Pregnancy Classes, Birth Journey Classes, Sacred Beginnings Classes, and the honoring and healing ceremonies of Mother Roasting Jenn works to bring the sacredness and magic back to the childbearing year for every family she serves. As a folk herbalist she also makes several natural remedies for pregnancy, postpartum, and the entire family. In the coming weeks Jenn will be sharing blog posts with you all to explain the different services she offers as well as share a little more about herself and her practice style. We are thrilled that she will be the very first practicing Sacred Pregnancy Mentor in Tampa and will fill a niche with naturally minded families seeking alternatives to conventional health care. Current clients will meet her in childbirth education classes and during some prenatal visits in the coming weeks. I just know that you are going to love her as much as I do and she will be a beautiful addition to our little family in the new year.